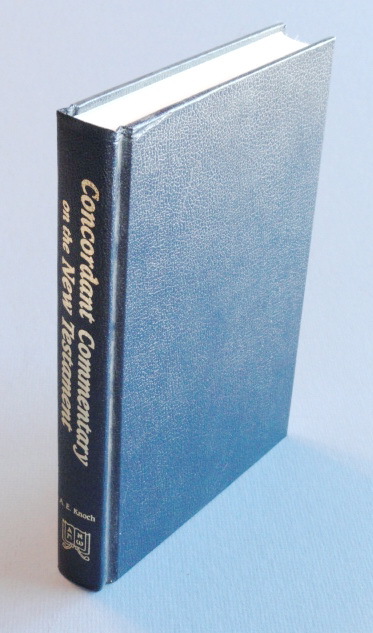 A. E. Knoch’s Commentary was first published more than sixty years ago based on the CONCORDANT LITERAL NEW TESTAMENT. A. E. Knoch’s Commentary was first published more than sixty years ago. It is based on the CONCORDANT LITERAL NEW TESTAMENT and follows the sequence of books from Matthew to Revelation. Important passages are dealt with succinctly, yet with remarkable helpfulness, especially in light of the relative brevity of the entries. Ample cross-references to notes on related sections of Scripture are provided. Literary frameworks of the various books of the New Testament are included.